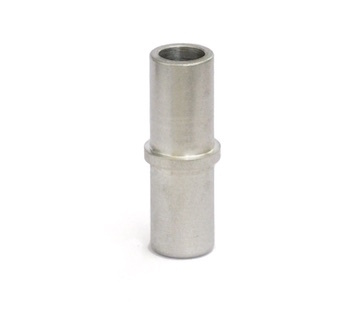 Aluminum weld bung (5/8" diameter) breather port, to weld onto the intake pipe of a Ford EcoBoost 2.3L engine. Compatible with the 2015+ Ford Mustang EcoBoost 2.3L. Weld the aluminum bung directly to the intake pipe. Then, install the factory o-ring plastic breather hose to the aluminum bung. 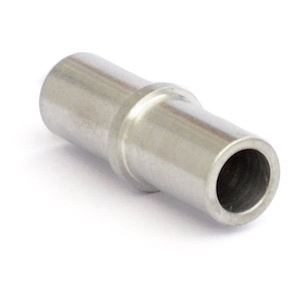 (1 unit) Aluminum weld bung with the same diameter as the bung found on the stock plastic intake pipe.